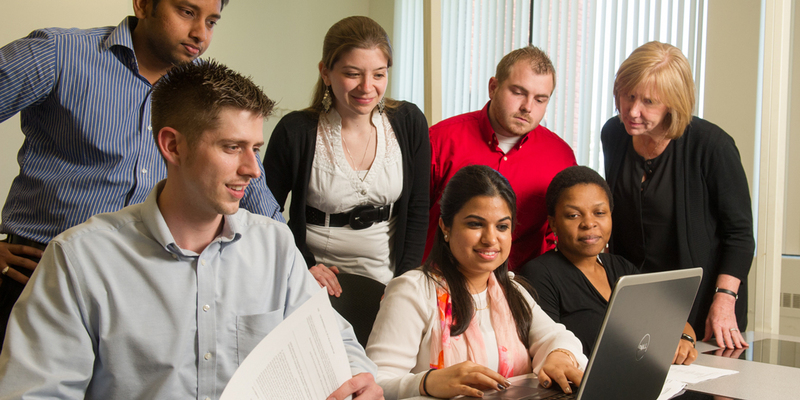 The School of Business is seeking funding support for a leading-edge curricular program that will help mold SIUE business students into excellent leaders who are ready to enter the workforce. The courses, GBA 301 Business Transitions 1: Planning for Success and GBA 402 Business Transitions II: Commitment Beyond College, are required for all business majors. They are designed to assist students with the transition into the School of Business and for developing knowledge and skills related to career planning, including resume development and initial job search strategies. Students will be introduced to the concepts of individual responsibility and ethical behavior, social responsibility of organizations, and global perspectives on business. The courses will assist students with the transition to a professional business environment and further development of professional skills related to job search, professional networking, interviewing and business etiquette. One of the main attractions in supporting scholarships or awards is that sponsors have the opportunity to meet the student they are assisting. In turn, students enjoy meeting scholarship sponsors in order to express their appreciation to them in person and to keep them abreast of their progress. Many times, lasting business and professional relationships develop through the scholarship program. You can financially help students by endowing a scholarship or award. Once established, the endowment remains in perpetuity to benefit future generations of students. This is a popular way to memorialize a loved one or to pay tribute to a favorite professor. It is also an important way for you to assist students so they can concentrate fully on their academics without having to worry about how to finance their education. Funding for these specific course sequences will help us enhance our programs and the experiences of graduate students at SIUE. The annual Power Breakfast connects prominent alumni from around the country with their alma mater and our faculty and students. Faculty members hand select one student to attend as their guest. The event allows students and faculty to engage with distinguished alumni. Corporate sponsors or individuals have the opportunity to set up exclusive internship opportunities with the School of Business to attract top performing students. Sponsored internships are designed to assist students financially in career-related internship experiences. The aim of these opportunities is to encourage students to take on new opportunities relevant to their career interests while attending school. Internships allow students to apply and expand the knowledge they gain in the classroom by providing a bridge from academic study to career direction. Support one of our Business Select students each year of their undergraduate program to alleviate the financial burden of tuition and fees and allow them to focus on excelling academically. Our Business Select students are high-achieving freshmen who are allowed direct entry into the School of Business. The Business Select program allows the students one-on-one mentorship and opportunities to interact with our faculty, alumni and corporate partners directly. The School of Business International Program offers specialized short-term (one- to two-weeks) study programs for students who have never traveled internationally or are unable to get away for the entire semester. Students are accompanied by an SIUE faculty member who teaches the travel study course. Travel study programs are a great way for students to gain international business experience while earning academic credit and boosting their resumes. Supporting an annual trip France, China, Italy, Germany or other destination can help lower the overall cost of the program for the students. The Cougar Business Resource Center’s state-of-the-art technology and many meeting rooms give business students a place to study, complete group assignments and perfect presentations for their classes.